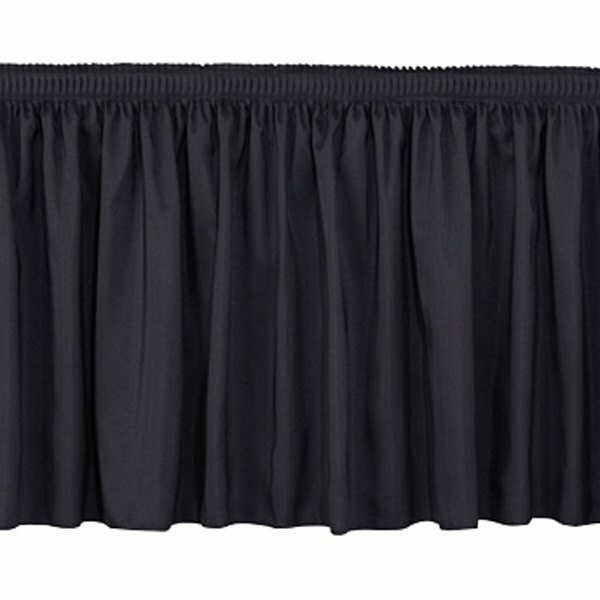 National Public Seating SS8-48 Black Shirred Stage Skirt for 8" Stage - 7" x 48"
Enhance the appearance of your stage with the National Public Seating SS8-48 black shirred stage skirt! Its gathered, decorative fabric rows will hide the legs of your stage for a professional presentation at any performance venue! This stage skirt is designed to fit an 8" tall stage. Velcro® along the top edge of the skirting allows for easy attachment and clean up at the end of an event. Its dark black coloring helps hide dirt while maintaining a sophisticated appearance. This skirt measures 7"H x 48"L.